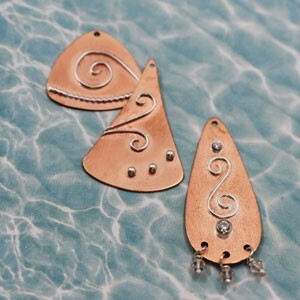 Learn how to use the right tools to make beautiful designs using sterling wire. Get your technique down for soldering wire onto sheet metal. We will go over heat control, creating small details, and metaling metals. This is a great class for people that are just beginning to solder or need a refresher on some techniques. Supplies will be included. You can make up to three pieces in the class.